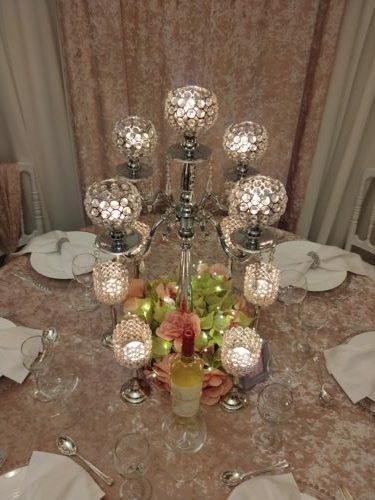 Aglow Wedding Decor & Event Rentals carry a large selection of high quality & luxurious linens to add a touch of glamour and sophistication to any event. 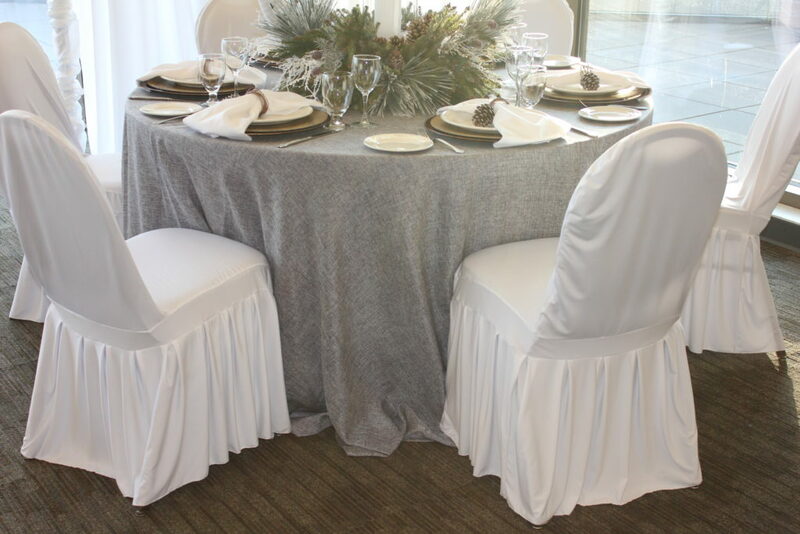 Aglow Wedding Decor & Event Rentals carry premium wrinkle-resistant white pleated chair covers. 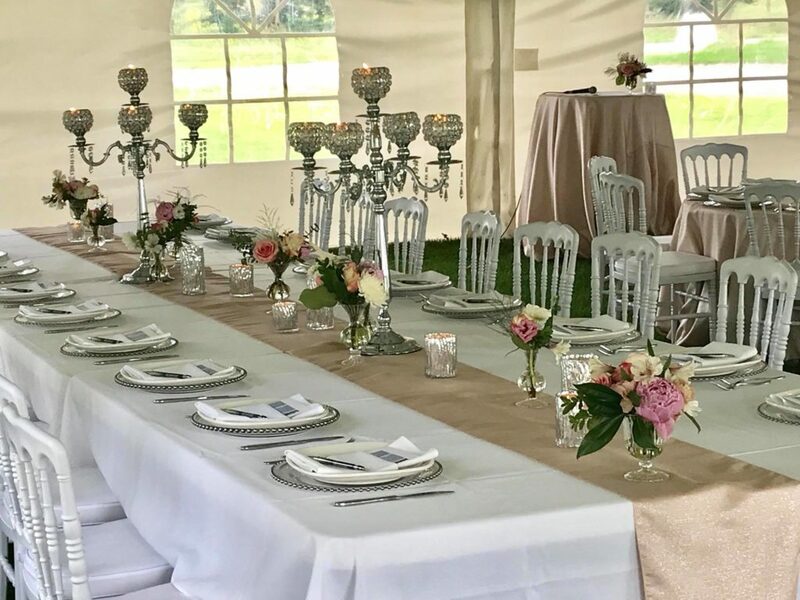 Our quality chair covers do not require foot pockets to stay secured, which allows for simplified application and no more exposed chair legs during your event or unsightly permanent demarcation caused by chair leg tips being in contact with venue floors. With a large selection of chair sashes, overlays and table runners Aglow is your number one choice for high quality linens for any event. 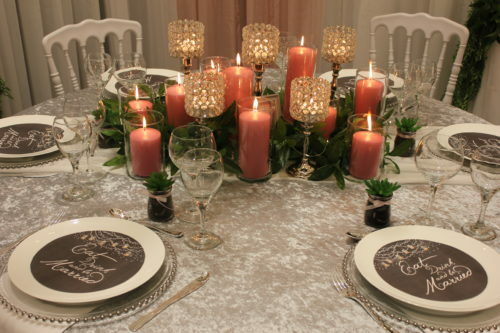 We carry some of the most beautiful event linens available and present new options on a regular basis. Below are just some of our linen options. 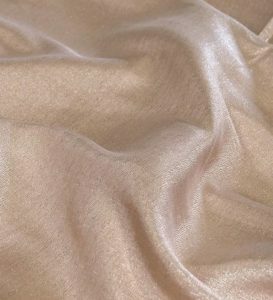 All satin colors are available for chair sashes, table runners and overlays. 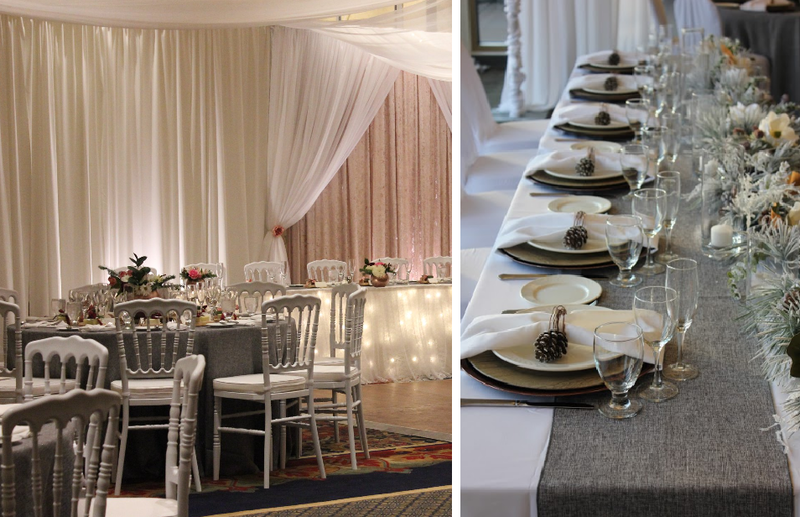 These stunning organza sheer overlays and runners are breathtakingly beautiful on guest tables and cake tables. They can be placed over any color of satin overlay to incorporate a little glam into any color scheme. These romantic linens come in chair sashes, runners and overlays. They are perfect for rustic, shabby chic and outdoor weddings.